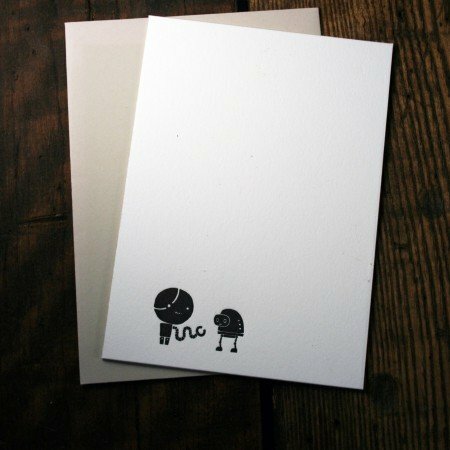 Letterpress cards and greetings including the signature art of guest artist Josh Searl exclusively at Twin Ravens Press. 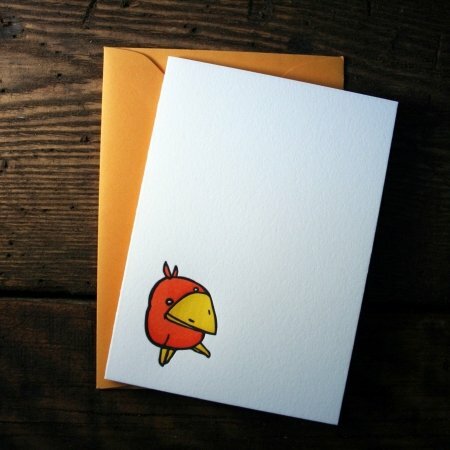 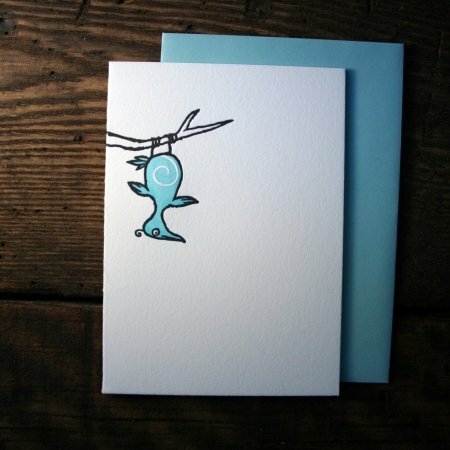 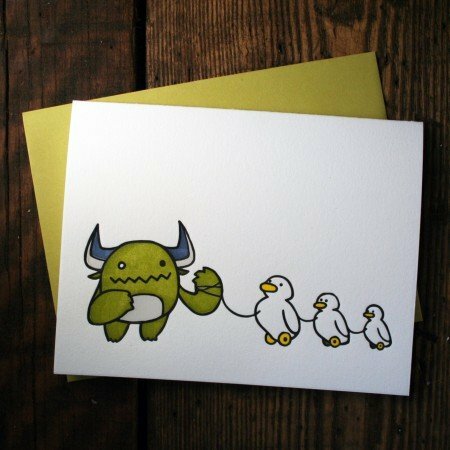 Twin Ravens Press partners with a unique few Pacific North West artists to create one of a kind letterpress greeting cards and gifts featuring art you won’t find anywhere else! 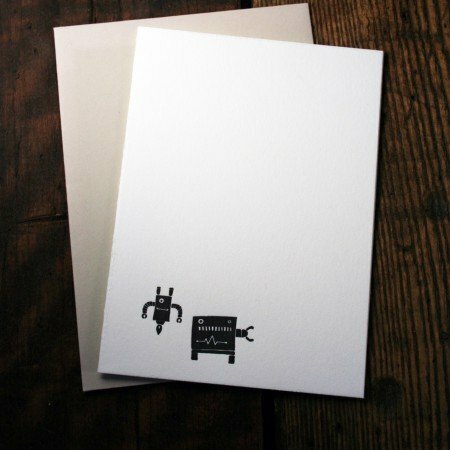 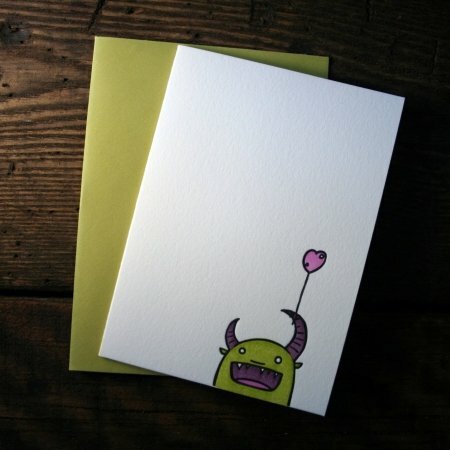 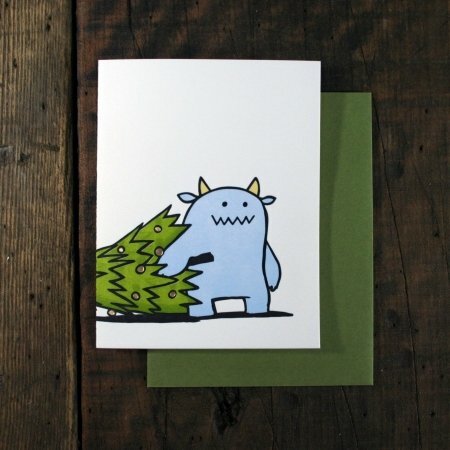 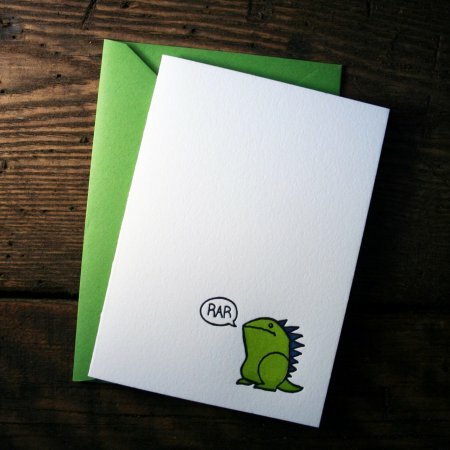 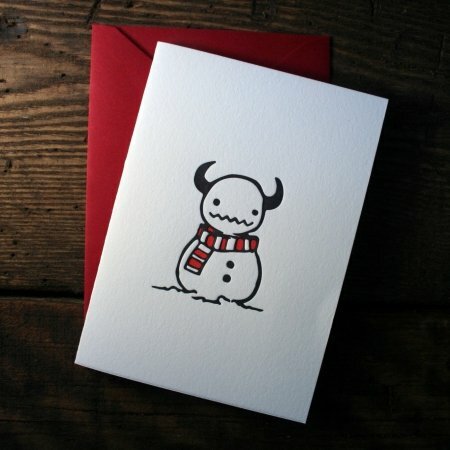 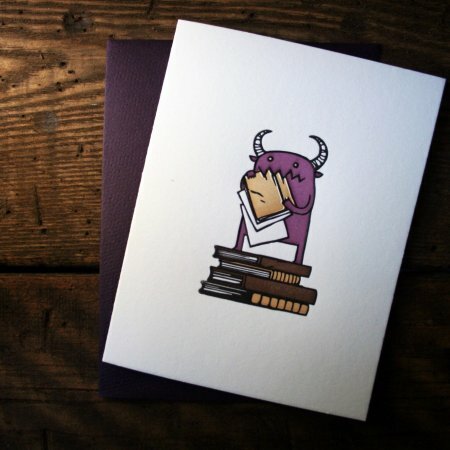 These unique letterpress card designs feature cute monsters, robots and ghosts and creative greetings to make your next holiday or event a special one. 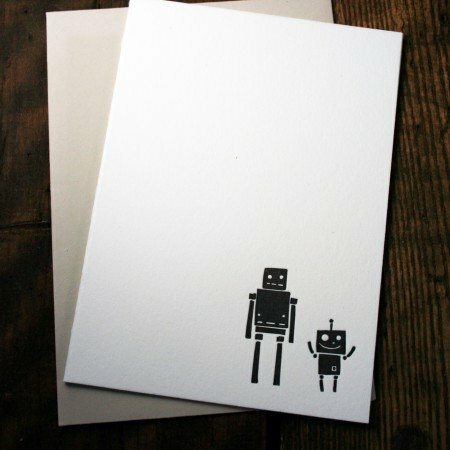 Letterpress greeting cards featuring the art of Josh Searl are available individually, and in boxed card sets of six or twelve . 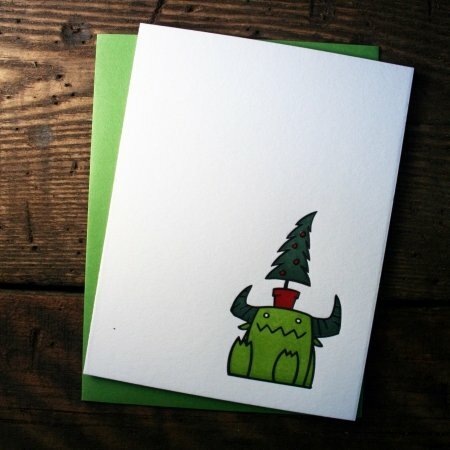 Next time you need to send someone a Christmas Monster Card or greet someone with a robot card or cute Halloween ghost card, these will be perfect.